Very simple gallery solution to upload images and display them in a basic gallery using Fancybox. 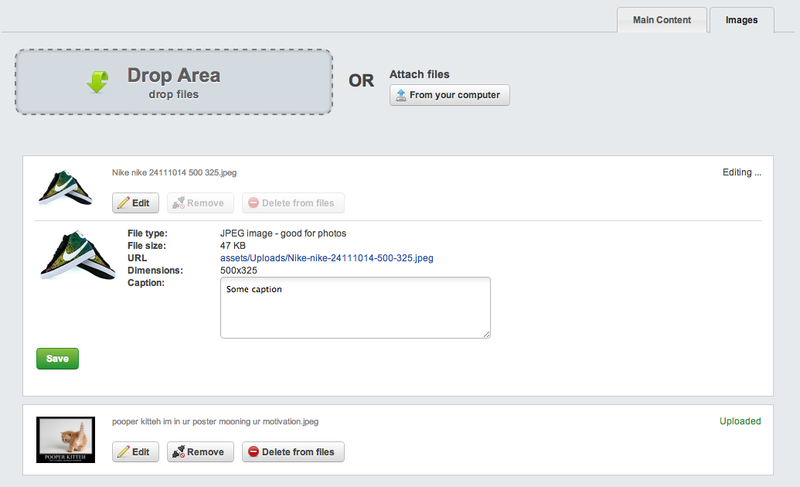 Uses customised UploadField to manage the images, allowing bulk upload of images then resorting using drag drop and editing of captions inline. You are required to purchase a licence for Fancybox for commercial websites. Place this directory in the root of your SilverStripe installation, rename the folder 'gallery'.